I can’t tell you how many of our clients have asked this question and we always tell them the same thing - customers haven’t changed much, they are still human. While it may be true that online shopping has changed the face of retail forever, we know that customers still want a one-on-one human experience. We still crave personalization, education, entertainment and enlightenment. We can’t control the insomniac who fires up their phone/computer for midnight online shopping. This 24-hour service, with competitive and comparative pricing - something our stores cannot provide - is the core of shopping online. However, there is often an overlooked saving grace for retailers, and it lies within their own sales floor. Thanks to online sales and data-driven marketing, we know more than ever about our customers. They fill out online surveys telling us what they like, review the products purchased online, share photos of their purchases, Yelp about the business’ and so on. All this valuable knowledge can be passed on to our brick and mortar merchants and can be used to tell them what is needed in their business plans. Those that meet these needs are the retailers who will be crushing it in 2019 and beyond. Our team here at CMA has put together a few points regarding what our customers are craving. We think there are some good ideas to share and hopefully provide insight into how to reach your customers. Customers who feel they have ownership in the products will have immediate buy-in. Birch Box does a great job with this as an online retailer who just opened their first brick and mortar store in SoHo, New York last year, since being founded in 2010. They offer samples of all beauty products where you build your own box that is customizable to your skin and body needs to find what suits each customer individually. Of course, we don’t need to explain Build-A-Bear, but we will! Here you experience placing a “heart” inside your bear, over-stuffing him with love then stitching him up and taking him home. That is brilliant – immediate results, completely custom, same day take home. We also personally love Big Truck Hats out of Truckee, CA. 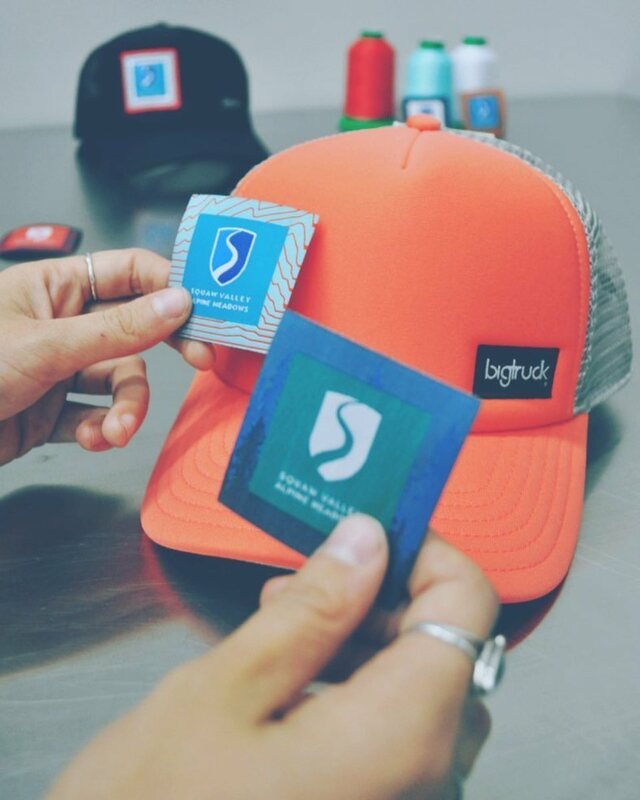 The buy-in starts with picking your trucker hat, sorting through patches of words, icons, etc. that resonate with your personal feelings & style, then on-site sewers stitch it on and you’re able to wear it and walk right out of the store. Lastly, Tom’s Shoes provides a similar experience. You may paint your Tom’s to personalize them at the stores or festivals they sponsor. For every pair of shoes purchased, they also provide a new pair of shoes to a child less fortunate to support those in need of new shoes. This is a “win win” concept. Events are powerful and suggested for all our clients. Events must be well planned and targeted. CMA suggests hosting events that educate and provide additional value to the shopping experience. For example, if you are a kitchen store, create a range of in-store events for busy, health-conscious females. Do a series of six events, every other month, promoting paleo-autoimmune workshops, clean eating and food prep with a local chef, simplifying your home and getting organized, the psychology of weight loss, cooking demonstrations and cook book signings, trunk shows, and more. We encourage our stores to work together and these examples would be a perfect match with a yoga studio, kitchen store or healthy restaurant to collaborate on. Our agency hosts category meetings with retailers to brainstorm and get them working with one another on progressive events just like these. We also suggest that a fine home store or interior decorating professional offer a glass of champagne, food samples or chocolate bar for their clients to pick and choose from. Instantly the walls are down, and the consumer is at ease, opening a dialogue and customers are “surprised and delighted” by the retailer’s generosity. Retailers need to connect with the community. Finding local charities to tie-in with is always a great way to share their profits, find peace and share their story with the consumer. Proceeds during a weekend sale may go to the Humane Society and promote Fur Sure Sale. Promote your products and suggest donations in-store for the non-profit with a 15% donation from every sale made during a specific sales period benefitting that non-profit. Provide comfortable places to sit and relax with journals, candles, meditation pillows, magazines and books that speak to your store’s niche. Work with each customer face to face; this is something the Internet will never be able to do. It’s about creating unique experiences that capture your own brand’s promise while purposely helping your customer reach their own aspirations. It’s about building a journey that takes both of you where you want to be. Create a book of clients - you may call them and let them know what just arrived in stock for the new season or invite them to your in-store events. Nordstrom does a great job with their customer holiday party. They roll out the red carpet, clap upon your arrival and reward you with bottomless champagne, provide gift wrapping, special make-up counter makeovers and designer trunk shows. Gurus, helping your customers solve meaningful problems and connecting with their emotional versus logical side (features and benefits), can be a powerful engagement tool for retailers today. So, find your inner-retail enlightenment, start listening to your customers, and create that unique experience.